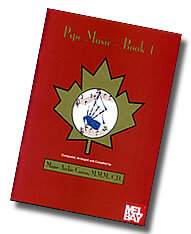 This book contains a wide variety of tunes for bagpipes that have been composed, arranged, or selected by Pipe Major A. M. Cairns. They range in difficulty from easy tunes which anyone could play to more complex tunes which demand more intricate finger techniques. Major Cairns, as a composer and arranger, is known in many countries for his ability to put music and arrangements together that are inspiring when heard on the Great Highland Bagpipe. You have the opportunity with this book to experience not only some of his finest compositions but also some band scores he has arranged with the harmonies and drum scores included.